After a day of fast-flying rumors, it's been confirmed that Electronic Arts is pulling the plug on Pandemic Studios, laying off roughly 200 employees including the president and CEO. Rumors that EA planned to shut down Pandemic have been swirling for several days but early this morning the story tightened, as word leaked out that the hammer was coming down today. That rumor has now been confirmed: A "core IP team" from the studio is being transferred to EA's Los Angeles operation, but the bulk of the studio - 200 workers, including CEO Andrew Goldman, President Josh Resnick and Vice President of Product Development Greg Borrud - have been let go. Despite the closure, the Pandemic brand and franchises will "live on," according to an internal memo written by EA Games Label Senior Vice President Nick Earl. "In the months ahead, we will announce plans for new games based on Pandemic franchises," he wrote. "This type of change can be difficult. But the situation calls for us to act decisively, to take control of our destiny and to run a stronger, more focused development operation. That's how we will continue to make great games in our L.A. studios." 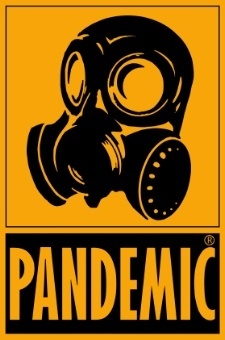 Pandemic was founded in 1998 and acquired by EA in 2007 in the same deal that saw the publisher swallow up BioWare. Unfortunately, the deal didn't work out well for Pandemic; an aborted attempt to produce a game based on The Dark Knight movie eventually resulted in Pandemic's Brisbane studio being "set free" early this year, while the main studio was apparently unable to come up with anything compelling enough to justify its survival during EA's most recent struggles. The closure will "improve [EA's] cost structure, ensure quality and build schedule integrity for this studio," Earl said in the memo; what it won't do, however, is reassure gamers that the "kinder, gentler" EA we've enjoyed over the past year was anything but a flash in the pan. Closures and layoffs are an unfortunate but unavoidable fact of life, but EA's long history of assimilating studios will no doubt leave a lot of people wondering if the black-hearted publisher we came to know and fear is back with a vengeance. We here at The Escapist would like to extend our best wishes for the future to everyone at Pandemic who has been affected by the closure.